The March 2011 Japanese earthquake and following tsunami took a terrible human toll, and also had devastating impacts on wildlife. 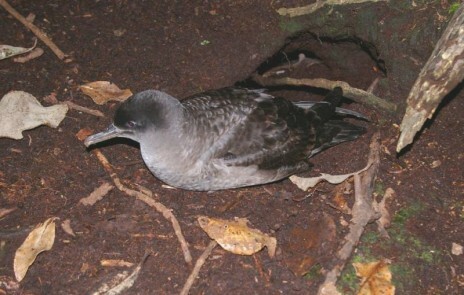 As the tsunami tracked east it washed over the low-lying atolls of the north-western Hawaiian islands, killing thousands of albatrosses and petrels. The tsunami also crippled the Fukushima-Daiichi nuclear power-plant, sending a plume of radiation across the North Pacific, which contaminated the marine food chain. Several species of New Zealand-breeding seabirds migrate to the North Pacific during the southern winter, and were likely to have been exposed to radioactive fallout. The best known of these is the sooty shearwater (muttonbird), of which the entire population is in the North Pacific during June-September. Shearwaters are top predators, feeding on krill, and small fish and squid. Radio-active isotopes of cesium and iodine in dust that settle on the sea are taken up by phytoplankton, and become concentrated at each higher trophic level in the food chain. It is not yet known whether radiation exposure from the Fukushima-Daiichi nuclear disaster was sufficient to cause lethal or sub-lethal effects on sooty shearwaters and other top predators in the North Pacific. 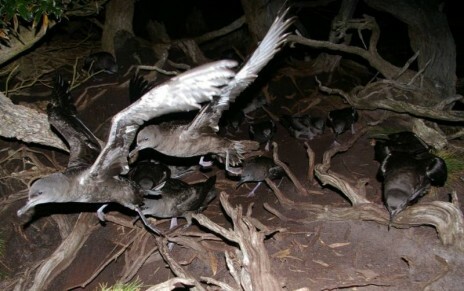 Sooty shearwaters moult and replace their feathers when in the North Pacific, growing a new set each year to ensure top aerodynamic performance on their record-breaking migrations. Radioactive isotopes of cesium can be incorporated in growing feathers and other tissues of birds. It is not known whether radioactive compounds are metabolised during egg formation, potentially passing contamination to the next generation. 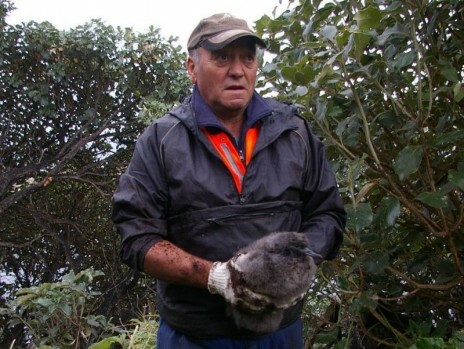 Muttonbirders preparing for the 2012 harvest of titi (sooty shearwater chicks) on islands around Rakiura/Stewart Island were concerned about potential human health effects from handling and eating titi. The topic was discussed at length in early February at the Rakiura Titi Committee permit day meeting in Colac Bay. Dr Colin Miskelly (Te Papa’s curator of terrestrial vertebrates) was at the meeting, and offered to arrange for radiation levels to be measured in titi, if the muttonbirders were able to collect a sample of pre-season chicks. Funds to undertake the analyses were made available by Landcare Research. Staff from Landcare Research are studying related seabird species on islands in the Bay of Plenty. Fifteen titi each were collected by Rakiura Titi Committee representatives from Taukihepa (Big South Cape Island) south-west of Rakiura, and Herekopare Island to the north-east. 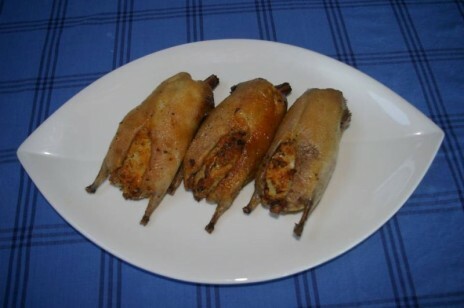 The 30 titi were prepared by muttonbirders as if for consumption, then forwarded to the National Radiation Laboratory for analysis. The results showed no measurable radioactive iodine-131 or cesium-134 or 137 contamination in any of the birds. The results were provided to the Rakiura Titi Committee 2 weeks before the start of the 2012 titi season. “This is great news for the muttonbirders” Rakiura Titi Committee chairman Stewart Bull said. “We are going through tough times following the Easy Rider tragedy. News that the titi are safe to capture and eat gives us all reason to think more positively about the season ahead”.